The Pink Room can be used for double or single occupancy. 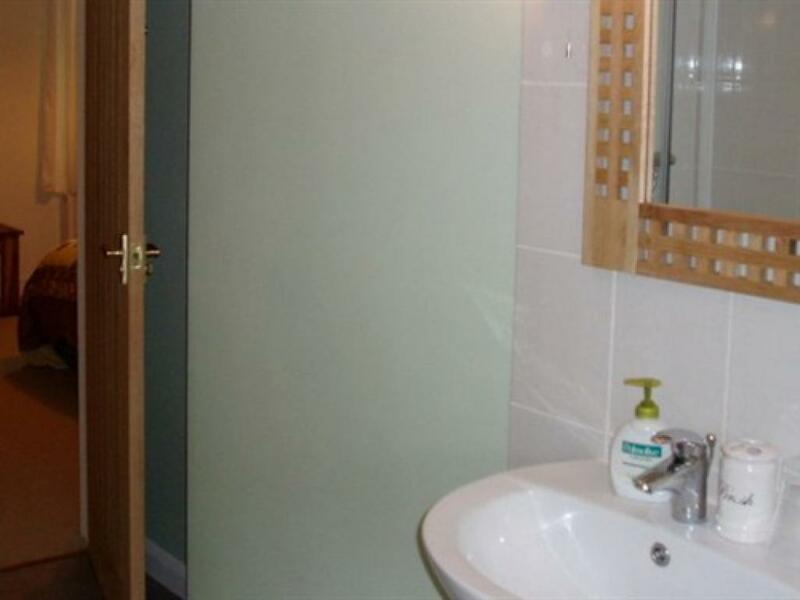 The ensuite is bright and airy with a gleaming shower and heated towel rail and complimentary toiletries. The recently renovated bedrooms have been simply decorated to allow the natural features of the rooms to be appreciated. 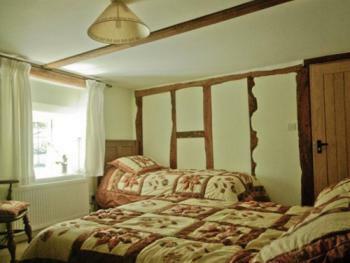 All rooms are carpeted and furnished with traditional oak furniture, some made from recycled wood. The beds are comfortable and cotton sheets, luxurious goose and duck feather duvets and patchwork counterpanes complete the homely feel. Despite the careful attention to the original features of the farmhouse, the needs of the modern traveller have not been compromised. The Green Room can be used for double, twin, triple or Single Occupancy. 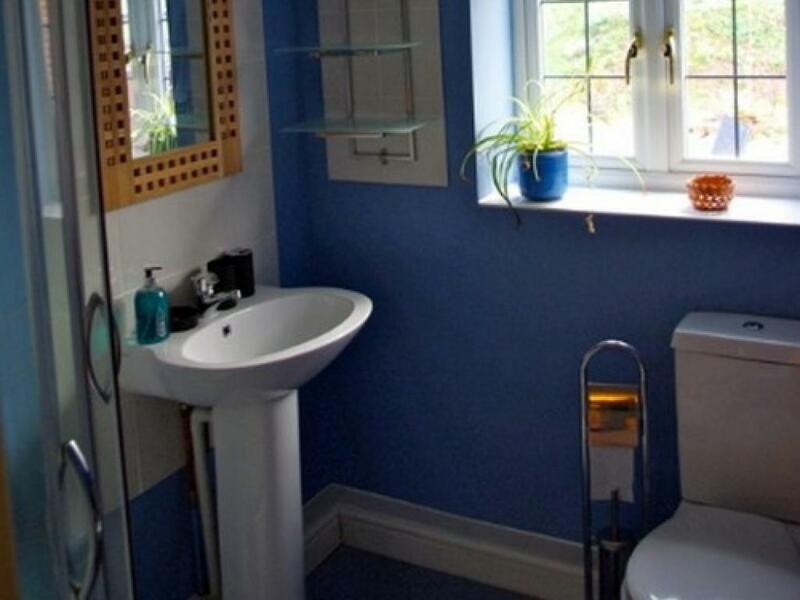 The ensuite is bright and airy with a gleaming shower and heated towel rail and complimentary toiletries. The recently renovated bedrooms have been simply decorated to allow the natural features of the rooms to be appreciated. 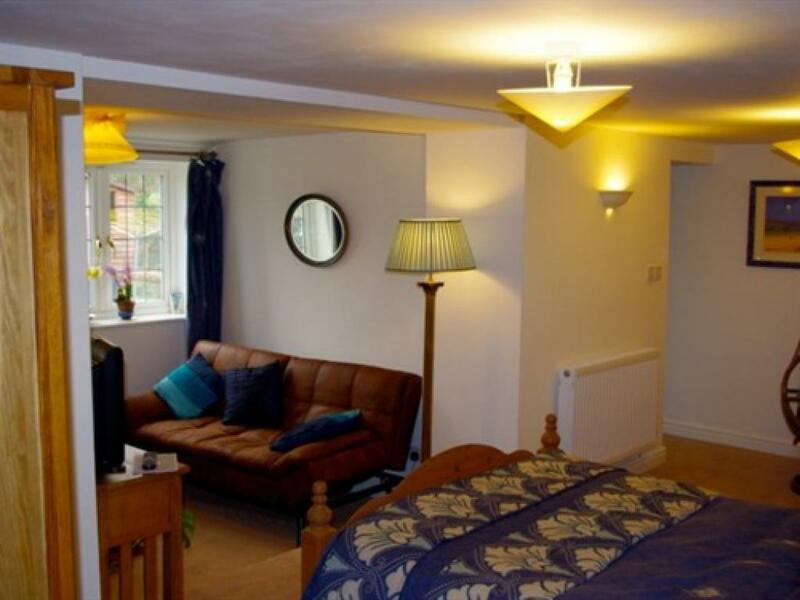 All rooms are carpeted and furnished with traditional oak furniture, some made from recycled wood. 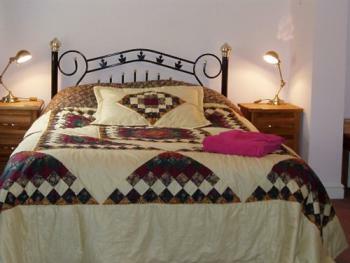 The beds are comfortable and cotton sheets, luxurious goose and duck feather duvets and patchwork counterpanes complete the homely feel. Despite the careful attention to the original features of the farmhouse, the needs of the modern traveller have not been compromised. 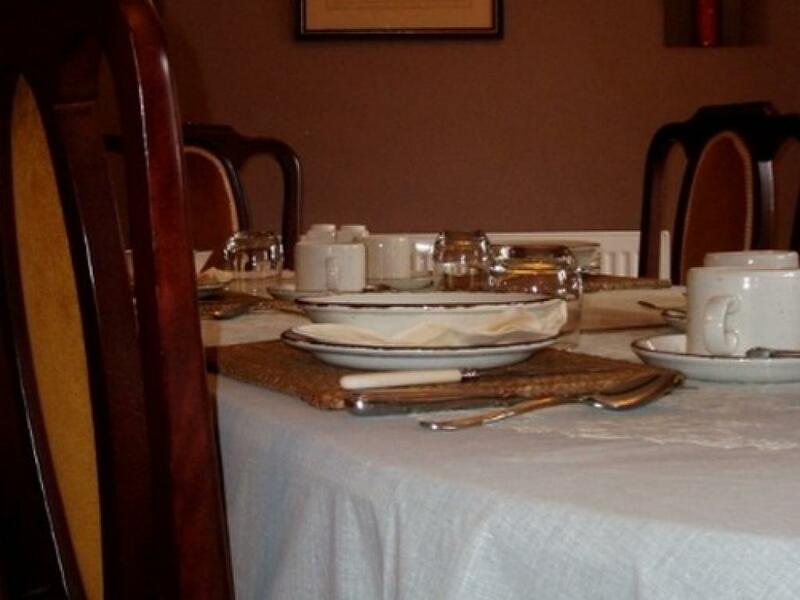 The Blue Room is our largest room and be used for double, twin, triple, family or Single Occupancy. It is suitable for a family of 4. 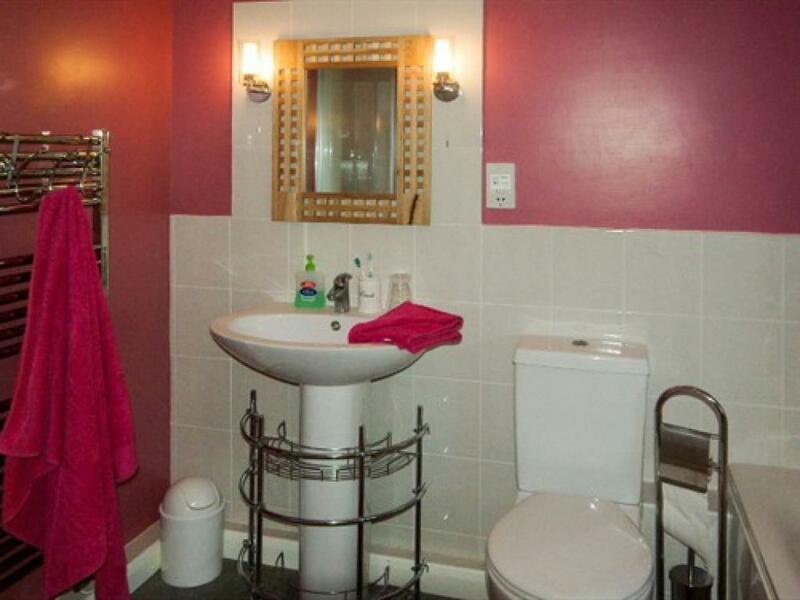 The ensuite is bright and airy with a gleaming shower and heated towel rail and complimentary toiletries. The recently renovated bedrooms have been simply decorated to allow the natural features of the rooms to be appreciated. All rooms are carpeted and furnished with traditional oak furniture, some made from recycled wood. The beds are comfortable and cotton sheets, luxurious goose and duck feather duvets and patchwork counterpanes complete the homely feel. Despite the careful attention to the original features of the farmhouse, the needs of the modern traveller have not been compromised. 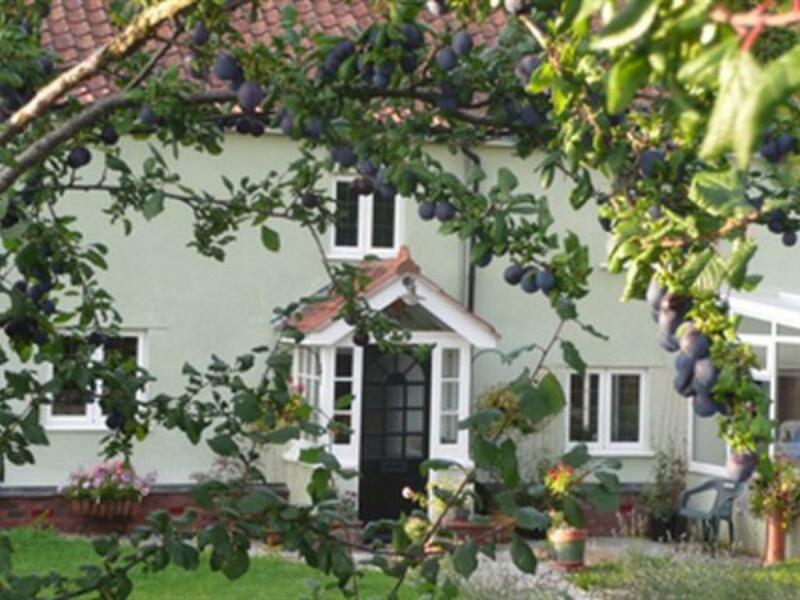 A warm welcome, a comfy bed and a hearty breakfast awaits you at Aginhills Farmhouse. 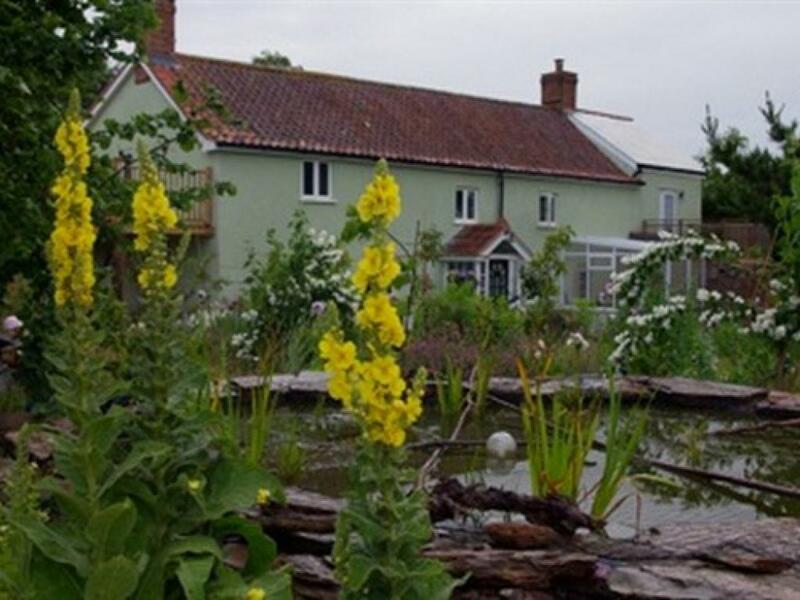 Nestling in the Somerset landscape, and surrounded by fields, the unique location of Aginhills Farmhouse, alongside the Taunton to Bridgwater Canal, makes a perfect resting place for leisure travellers or tired business people who can escape the office and, within minutes, be in the seclusion of a homely, rural retreat. This traditional farmhouse has been recently, and sympathetically, renovated to provide 21st century facilities whilst still retaining many interesting original features. 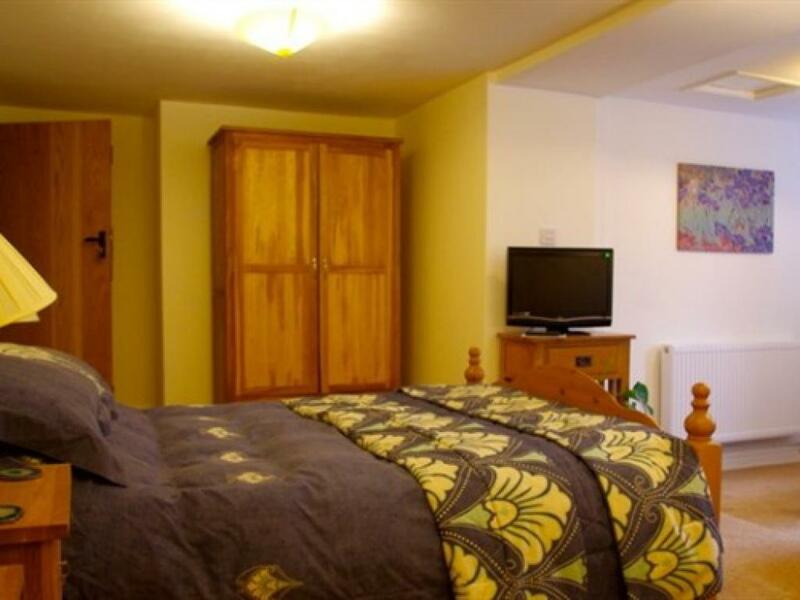 All rooms are equipped with modern en-suites, tea and coffee making facilities, TV/Radio with Freeview and DVD player, Wifi, and are double-glazed and insulated to a high standard. There is ample parking for guests but, for those arriving by train or bus, both the Bus and Railway Stations are only a short taxi ride away. 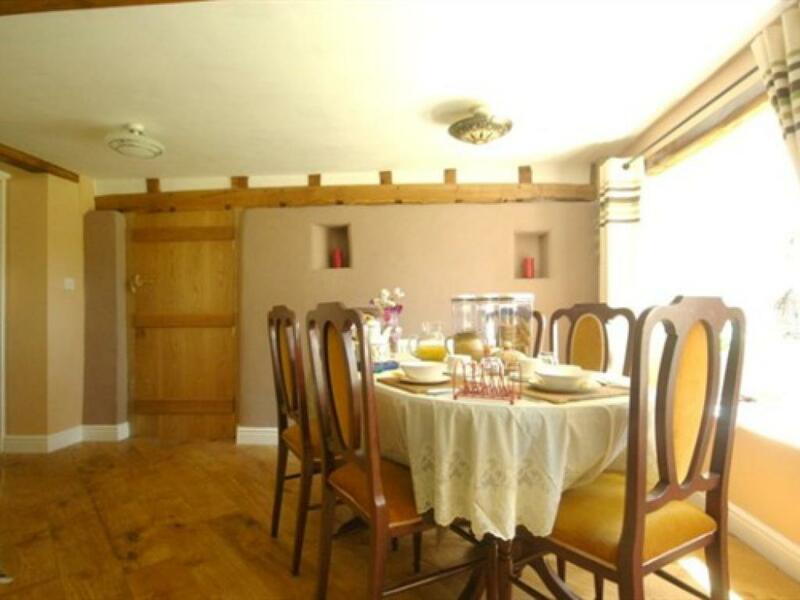 The dining room is alight and airy room boasting oak ledge and brace doors,beams and lintels and a glowing oak floor. When the weather dictates a cosy woodburner in the inglenook fireplace will be lit to cheer you on a chilly winters morning. Guests may choose a hearty, freshly cooked, traditional English or a lighter Continental style breakfast which will be served between 7.30 and 9.30 a.m. - half an hour later at weekends to allow you to lie in and enjoy the peace and tranquillity of the countryside. Surprisingly only minutes from Taunton Town Centre, Aginhills Farmhouse nestles in the landscape and surrounding fields, offering its guests the seclusion of a rural retreat. Access is by a short drive on the private road alongside the Taunton to Bridgwater Canal and a leafy lane where much interesting wildlife flourishes. The canal is a much enjoyed leisure facility for locals who enjoy the opportunity to walk, cycle or jog along its towpath. Often there are fishermen hunkered down over their rods and others who just enjoy watching the resident family of swans. We have one room which is on the ground floor but within it there are two steps - one just inside the doorway and the other leading to the lounge area. The dining room is also up a deep step. Our location, with the farmhouse nestled within its gardens, requires several steps along the entrance paths and will not allow access to wheelchairs. The original narrow porch and front door are also a barrier to wheelchairs but guests with walking frames would be able to access the building with help. Sadly, we cannot make our building very accessible to the disabled. From the motorway junction follow the signs to Taunton. Turn right at the traffic lights towards Bridgwater. After about half a mile, immediately after the first roundabout, turn left along Milton Hill. Take the first exit at the next roundabout then the first left (Dyers Lane). Proceed up to the Swingbridge at the canal. Follow the road along side the canal until nearing the small marina. Turn right along the farm track to the farmhouse.